The U.S. Air Force Research Laboratory has conducted a test to validate the sympathetic reaction of a new safety-oriented explosive co-developed with Aerojet Rocketdyne. The MNX-770 Mod 1 explosive is being developed for use in 500-pound BLU-111 and 1000-pound BLU-110 general purpose bombs, which are also referred to as the Mk-82 and the Mk-83, respectively, the company said Thursday. 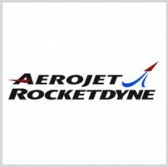 Aerojet Rocketdyne said the explosive employs characteristics that make it less prone to unintended detonation than the currently-employed PBXN-109. In terms of lethality, the MNX-770 and PBXN-109 have been shown to perform at equal levels. “While the BLU-110 and BLU-111 general purpose bombs have been in service for decades, making these munitions safer for our warfighters to handle is a shared goal of the military and industry,” said Eileen Drake, CEO and president at Aerojet Rocketdyne. The test took place at Eglin Air Force Base, Florida. Following the test, AFRL presented the data to the insensitive munitions review boards of the USAF and the U.S. Navy for certification.